Financial analyst Gregory Mannarino says, “The Fed cannot and will not stop printing. . . If they do that, overnight the system would collapse. . . . They are in desperation mode.” Mannarino thinks the U.S. should be cutting spending and not raising the debt ceiling. He contends, “By raising the debt ceiling, we are borrowing from our MasterCard to pay for our Visa.” Mannarino says global central banks are all “. . . purchasing gold and silver in record numbers. Meanwhile, they are flooding the world with fiat currency.” Despite a lackluster market in precious metals, Mannarino thinks people should keep accumulating gold and especially silver. Mannarino proclaims, “Silver is the most undervalued asset in the history of the world.” Mannarino predicts the middle class will be left “desperate, distraught and completely wiped out . . . when this thing collapses. We’re going to see a two-tier society.” Mannarino says it’s all because “we have a madman running the Federal Reserve.” Join Greg Hunter as he goes One-on-One with Gregory Mannarino. How about we get the right price for our fossil water. Say a flat one ounce of gold per ton of exported food ? What is 30 % of the world going to do ? Not eat ? How about we jaggle up them trillions in nationalist bonds the chinese refuse to honor . Then dump them on the chinese congress . Say there ya go hop sing paid in full. How about we do a manhattan level project and give every american a state of the art 3 d printer. Tell the developing world to go pound sand of their holes. Totally negating their slave labor advantage. How about we industrialize hemp production and make everything from transport fuel too plastics. A whole slew of industrial applications which would wean us off petroleum and nuclear power for once and all. How about we metaphorically put the elected testicles in a vise until the tesla papers are released for use by one and all. Throw in admiral byrd antarctica papers as a bonus on top of it. It’s not that we (USA) have a madman running the Federal Reserve. It is the fact that we have a Federal Reserve at all that is the problem!! The borrower is always subservient to the lender. The hand that lends is always above the hand that borrows. The day that Congress gave away the people’s right to issue their own currency interest free, was the day the people lost all their rights. The illusion that you think you have rights is just that, an illusion. Good point man!!! Thank you for weighing in. The fiat money game is coming to a close. One thing is for sure, the little people on main street are going to get a wake-up call with a frying pan of hot inflationary grease. Thanks Greg and Greg, I am still trying to figure out how monetizing the banks bad debts of the too big to fail banks makes a difference on Main Street? I imagine those with paper are monetizing into PMs…. I think it all adds to the debasement of the dollar and that means prices will risen dramatically for us little people on main-street. Thanks for weighing in man. It is just INCREDIBLE to hear the synopsis, to process the current state of America, and to contemplate what the future holds!! As a child – I knew America of the 50’s and 60’s; of prosperity, of security, and of morality: and NOW it is all crumbling. I bought silver a bit higher than it is currently just to get it in-hand – basically because of Greg Manarrino’s influence. No beef here: I’m glad to have it physically; though it isn’t all that much. And little more can be added to what Greg said – you both are doing an honorable thing. Good work. I share your experience of the 60’s in America. We are in for a very rough ride from here on out. They are putting a former derivatives trader in as the Secretary of Treasury. Do they really think this guy going to stop the coming collapse in the OTC market that many say is over a quadrillion bucks? hold on to tangible assets and real money as long as you can. I dont think oil is going to continue higher in the LT. Fracking is being used to extract oil for dead wells and will be used to bring on line non sands oil in the US and canada. Gas prices will continue to rise due to hideous tax levels but any time supply increases, demand will fall. If fracking is used to uplift decling OPEC wells the price will go even lower. Good analysis. You sound like you know about the oil business. Thank you for the content. Fracking has a huge environmental cost. Lots of places where it is being done are getting earthquakes when they never had them before. Some places the water that comes out of your tap catches on fire. The environmental cleanup costs of fracking ( a cost bore by tax payers, not oil companies) will far out-weigh the cheaper prices we pay for natural gas as a result. We need water to make food for example. So good luck with fracking, you will need it. Tim you have obviously watched gasland one time to many,those pictures of water burning are true however what they don’t tell you is that the whole area has had burning water since man first drilled water wells there. In that area there are natural fractures that allow shallow gas to enter the ground water. Last year Arkansas went thru the oil company earth quake hysteria, causing several desposal wells to be plugged. What no one will tell you is they have had quakes since before men were here; after millions of $ were spent; guess what they are still having quakes. I know I live there and plugged the wells myself. Fracing has been going on since the late 60’s but environmental wack jobs have found it to be a convient way to misdirect the uninformed, in their attempt to redistribute some wealth by attacking with half truths, there has been one instance of fracking dispoiling a water system. Simple suggestion, read Jens O. Parsons Dying of Money… it is available on PDF for free. Greg, not sure about distribution, but can send you my copy IF you cannot find it. It is an excellent read for those attempting to understand the fits and starts of this Inflation. Debt is our future for now, the only issue is how well the FED manages expectations. BTW – Biden suggested Obama can take the Guns via EO today. Going to be a very real mess in the US. I don’t think we elected a king did we? here it is, you are not permitted to cut and paste the text but can save it as a PDF. Thank you for all that you are doing to create & raise awareness. Buying gold and silver to protect yourself from hyperinflation sounds like a good idea but I haven’t quite figured out the end game when the currency collapses and a NEW DOLLAR is issued to take its place. Will people holding gold and silver have to time the market and sell their gold and silver before the old currency collapses to capture the gain they have experienced through hyperinflation? What is the likely outcome if you are caught still holding gold and silver when the new currency is issued? I do not know but I think you are much better off with it than without it. The rules for everything seem to change on a whim for the little people. I must disagree, and offer another scenario. Think when very little cash is in the peoples hands, very little credit is available, very high interest rates, very high unemployment… In the middle of the Great Depression II (2013?-2050? ), who do you think will buy your metals when millions of other people around the world, are all forced to sell, in order to feed their families? The banking system will be the only ones with large amounts of digital money, much of that will be zeroed away in derivatives and the collapse of the insurance industries. Many nations will be forced to sell their gold in order to stay solvent. This depression will not be a sellers market. The recent rise in certain metals was due to a “fear” bubble, coinciding with 2007/08 “crash” and the FED QE’s. QE’s that will be ending soon due to the Great Depression II. Even with the $85B/month QE, metals and the stuck markets are no longer taking off, they are slowing leaking. Looking at the metals charts, they are near breaking down the support levels. Kind of makes a metal bug nervous. When the FED and/or GOV is forced to make deep cuts, so too will go your metals prices along with the dollar, bond and stuck markets. But, I do love this web site. You are assuming this is a open and free market. It is not. Much evidence exists the gold and silver markets are being manipulated. It is a known fact the big global banks rigged the $800 trillion dollar LIBOR market. By comparison, the gold and silver markets are tiny. You think these markets are not heavily rigged too? At some point the game ends and oh by the way the Chinese bought more gold last month than they did in all of 2012. History is clear about countries with heavy debt loads that print massive amounts of currency. Thank you for your analysis and for supporting this site my friend!!! With World governments scooping up gold, they will crash the value temporary on all to extract it from all. Then banks will sky rocket the value when they think it’s all theirs. No? I think you are spot on. This a great accumulation phase for the big players. They all know what’s coming. The privately owned FEDERAL RESERVE is not committed to bailing out the government. They are ‘lending’ all of us increasing sums of synthetic ‘paper money’ against the full collateral and worth of the nation. They don’t care about nominal value, or short term gain, and even shrug off temporary losses because the ultimate goal is complete ownership and control through laws passed by ‘your representatives’, written by the financiers themselves, enforced by a multitude of alphabet government agencies paid with your taxes and the taxes of future generations, while they siphon the remaining wealth from all of us. You are about to become tenants and sharecroppers on land your forefathers freely held, and cannonfodder in frivolous wars that those same ancestors would have firmly rejected. Greg. I noticed that the Government has already told us to expect delays in getting out refund checks. Do we charge them interest and penalties like they do us. This is just one of the signs I see inline with this presentation. Your light shines from a mighty hilltop, but there are none blinder than those who refuse to see. Yes, let’s charge interest and penalties, but I think don’t think the government (taxpayers) can afford it. Thank you for the comment. Gold is money but only exhibits proper qualities of liquidity if its trade value can float(rise) on the basis of market demands, given that it has a limited and finite supply. Thank God for the severing of the dollar-gold peg FIX in 1971, which set gold free to be remonetized in a real-time, weighted, market driven standard, bottom-up just like the good Lord wants. Yet again, another excellent interview with a guy that know’s what’s going on and is trying to alert everyone else to it. It is very refreshing to hear someone mention the police state that is coming. With all the new laws taking away your freedoms, I am amazed that there hasn’t been more people standing up to the Government already. I guess things will have to completely collapse before that happens. Have you noticed that the push to take all your guns away (here in Canada as well) has ramped up lately? It is a lot easier to control mad people if they are not armed. I can’t afford Gold, but have been buying Silver bullion as often as I can while the price is steady. I remember when Silver was $2.00 an ounce and wish I had seen what was coming. I am hoping this time I am ahead of the curve. Keep up the great job. Thank you Doug Cowlthoro for the comment. The “$1 Trillion Coin” idea is a very long shot. If they did this coin idea I could see some very bad unintended consequences. Platinum is around $1,600 an ounce. In reality, to have a $1 Coin you’d have to have tons of platinum. How much faith could people have in a currency that is valued as $1 trillion per ounce? That would pretty much be admitting your currency wasn’t worth much. Hyperinflation here we come, in a very short amount of time. I think it would be game-over. Time to bring on the new financial system because were sure going to need one. Thank you for your question. I don’t have much silver because I put trust in land and growing food. Food is always a good trade. Also cans of tobacco for trade, because people like to smoke in hard times. Having some silver are gold sure can’t hurt and cash has never been worth holding in my life time. Spend it now stock up on tires a couple years ahead of time. A person needs a little home paid off and a plan to put food on the table. If you have those to things covered,then you can save up to pay the taxman. Alex Jones was funny he did just right in Bloomberg land. Jones scares people because they believe in the MSM BS. Jones seems normal to me for a man who understands 9-11 was some kind of inside job. I feel the same rage because I was a Ironworker with 45000 hours of work, erecting steel structures. Steel tower can’t come down like that. If they could, I would of been dead Long ago. I’m past the rage and most people don’t like to hear about rabbit holes. So I read sites like yours and look up the history of how we got here. It’s hard to argue with your logic or game plan!! Thank you for sharing it here!! Jones scares people because he rants and raves in a psychotic, paranoid manner. I don’t know if is aware of how he comes across, if not he is truly scary. Whatever his mental and emotional state, Jones like Noory, Sinclair and others makes a lot of money from fear-mongering, spreading conspiracies and propagating misinformation from self-serving monetized websites that sell syndicated snake oil advisory services and products manufactured in foreign countries employing cheap labor and in jobs outsourced by US based corporations. Don’t listen to the gold pimps nor fall for the greed of Wall Street. Be prudent and self-sufficient (shelter, food, water, energy, security etc.) and stay out of debt as much as possible. If the system falters again, one will have some tangible resources to rely on. Net, net, I believe the moderates will prevail and through goodwill and shared sacrifice the many good people will rebuild the country for the common good, step by step over whatever time period it will take to get back on the right path. You are so wrong about the “gold pimps.” Sinclair has a track record of correct predictions. 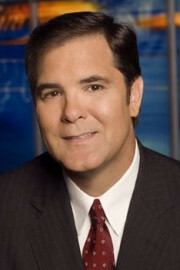 In December of 2002 Sinclair predicted that gold would hit $1650 an ounce in 2011. In June of that year, it did. In 2006 he predicted QE to infinity as the only answer to keep global OTC derivative market from meltdown. (The BIS says it is around $700 trillion others say it is twice that size.) In September of 2012 the Federal reserve enacted and “open-ended” QE program of $40 billion a month to buy the mortgage backed securities of the banks. Another correct call. Gold is up 500% in the last decade, so is silver. Having “(shelter, food, water, energy, security etc. )” is good advise. Telling people that someone telling you t protect your assets with physical precious is wrong is a disservice to my readers because it flies in the face of overt facts. Thank you for your comment. I like Old Smokey’s post, looking all the way through the mess to the end. I have been worried about buying a lot of gold. I think at some point the system will be reset which may see metals drop way down in value, maybe. So what I have done is bought some silver over time, old US coins. My though is not to sell it for fiat when times are tough, but to use it for local trade. Hopefully we only see a banking system collapse and nothing more. What is happening in the US is not strange. Currency devaluation (or the new term: quantitative easing) has been happening for years in several failing economies. Those of us from these failing countries know not to keep savings/investments in currency that is falling in value. The US is helped to not fail as the US dollar is the current world reserve currency. Once the US dollar is coveted less – and people ARE watching American dysfunction – and is used less as the primary reserve currency, watch out! Some countries may be planning to use gold to back their currency, or a regional currency, once the US dollar is no longer primary. It seems that if China moves to be the primary manufacturing country and has healthy currency reserves, it has moved into the economic position that the US once enjoyed. Seems that the Yuan would naturally be the new reserve currency, perhaps backed by gold? Thank you Doris for adding your voice here. Greg Mannarino is a regular here. Thank you for the comment. Platinum is about $1625 per ounce. For this trillion dollar coin to actually have a $1 trillion value you would have to construct it out of hundreds of tons of actual platinum. But if the coin is just a one ounce coin, then how to you think it will equate the U.S.d to equal only one ounce of platinum. So then wouldn’t a silver coin be worth $25 billion. How about a gold coin? If one ounce of platinum is worth $1 trillion U.S.dollars than a one ounce coin should be worth $1.1 trillion? If they did that our currency might hyper-inflate virtually overnight. That’s the way I see it and I bet most of the rest of the world too.